Can I let my teachers devote an hour each day for children to take part in inquiry-based choice time centers? Will my school still be able to maintain our high scores in reading and math? That’s the conundrum gnawing at the conscience of the very concerned principal of an early childhood public school in New York City. In his heart, he understood the importance of play and exploration but he was dealing with of the outside pressures that came with his job. 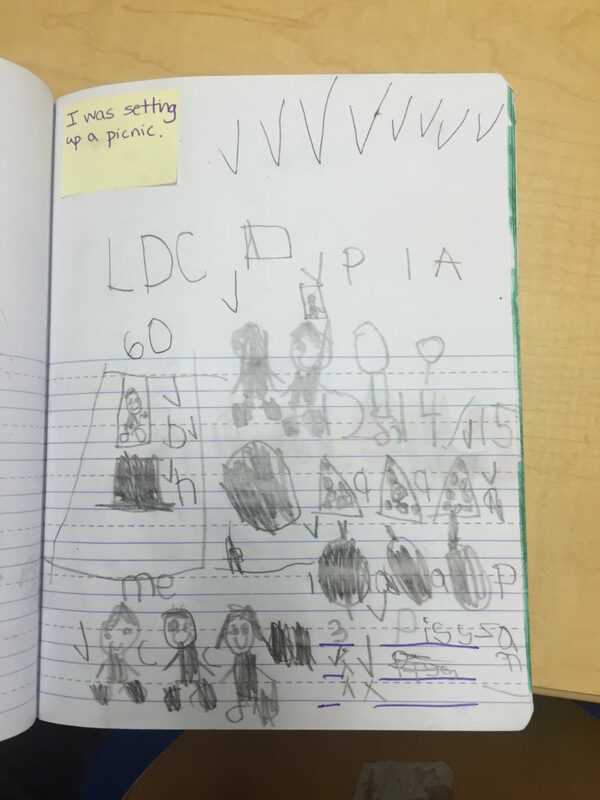 Nevertheless, he put his anxieties aside and asked me if I could do professional development with a focus on inquiry and play with his pre-kindergarten and kindergarten teachers. I was eager to work with his dedicated and intelligent teaching staff, to help them deepen the investigations and play and make Choice Time a priority in their schedules. The teachers were also eager to work with me. This was a big step for them. Before I came, Choice Time was more of a free playtime for a half hour at the end of the day. It was the time that the teacher could catch up on paperwork or perhaps pull out some children for guided reading. When we made changes, moving Choice Time to a prime time during the day, creating centers that held opportunities for inquiry and collaboration, and actively involving themselves as facilitators and observers, they could see how the quality of play and socialization was improving. Children were filled with joy as they played at a water center, built with blocks, pretended to open a bakery at the dramatic play center or created beautiful collages at the art table. And yet these caring teachers had twinges of anxiety. 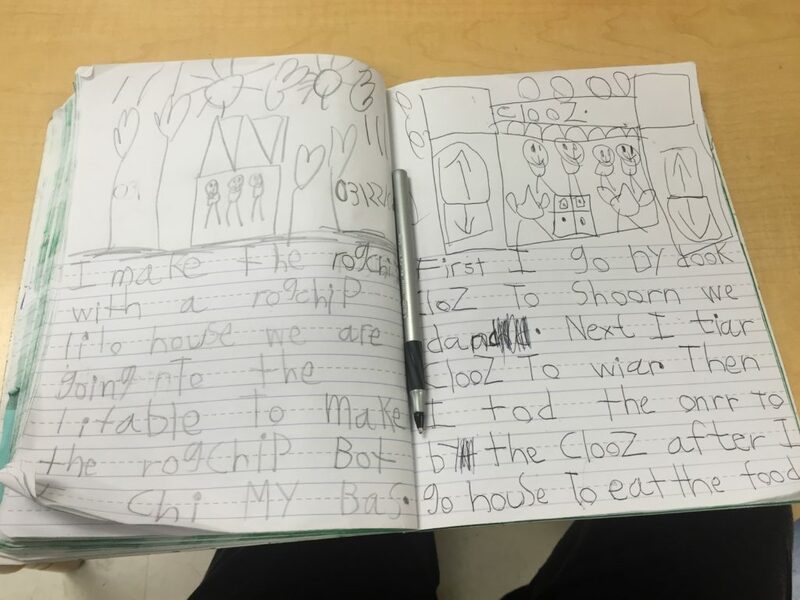 Did Choice Time use up precious minutes that should be devoted to reading, writing, math or phonics? I understood that the early childhood staff was making major changes in their schedules and their thinking about kindergarten priorities. The teachers were excited and invigorated by the explorations and collaborations taking place during Choice Time. However they had so much pressure to teach their students (mostly ELLs) reading, writing and mathematics. I wanted to acknowledge and honor their concerns about not meeting the Common Core standards. But I also wanted them to see how centers could be infused with opportunities for children to use the literacy skills being taught and reading and writing workshop. 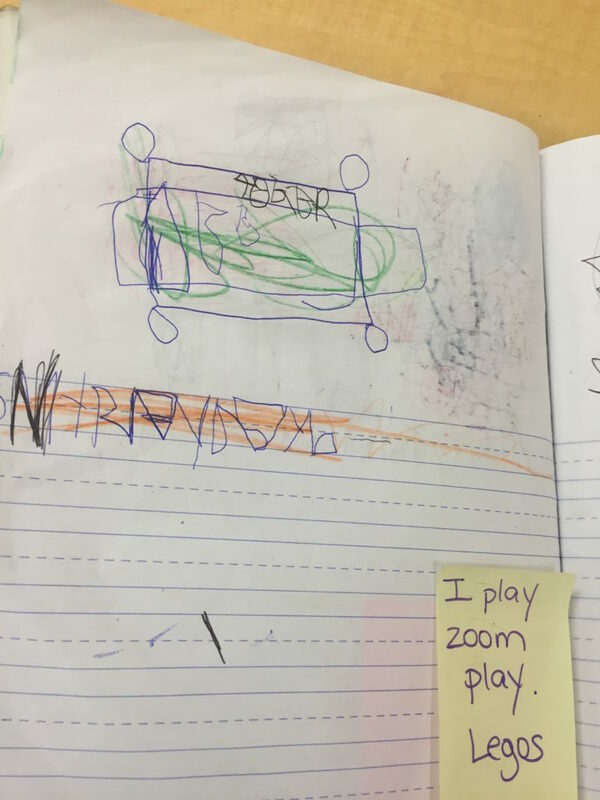 In one room, during Choice Time, we observed children writing menus and signs for their bakery in the Pretend center, labeling their block structures, drawing and writing from observations at the science center, and creating bead patterns at the jewelry center. Even though we were excited to see all of this activity, I still sensed the principal’s trepidation. I realized that there needed to be something else in place so that he would understand how children were developing social, emotional and literacy skills while playing during Choice Time . I presented a new possibility. 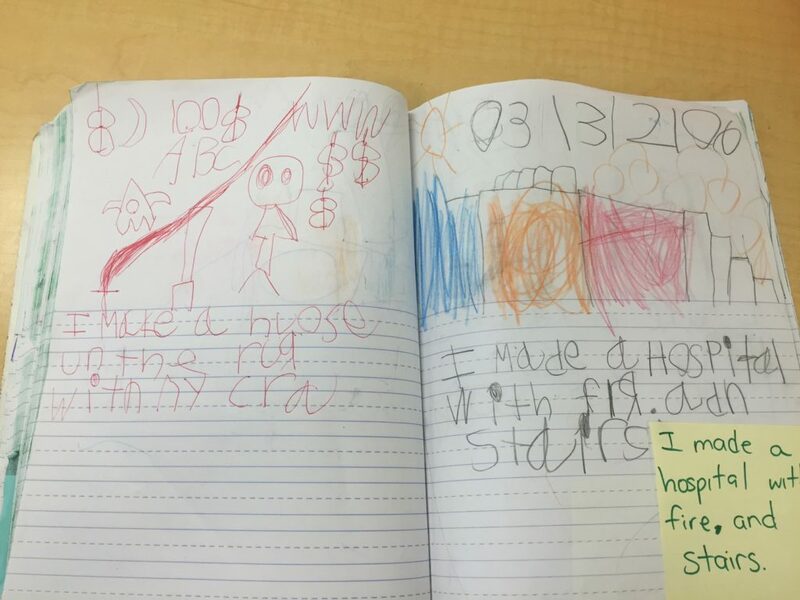 What about adding on ten minutes at the end of Choice Time for children to write and draw in their own, personal reflection journals. Would the children resent this extra writing? We decided to give it a try. 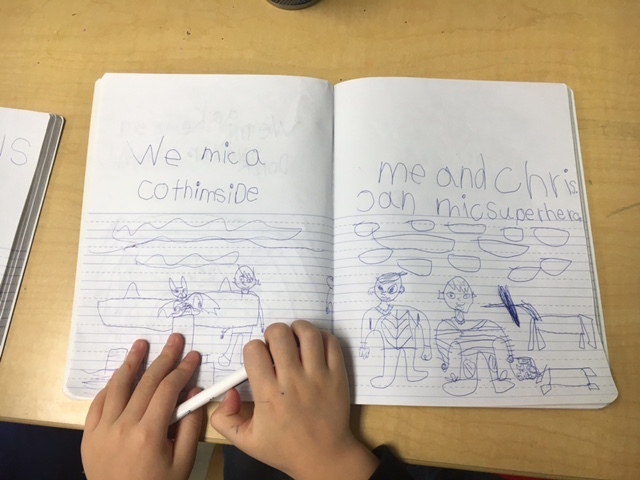 Each child had his or her own Choice Time journal, a primary notebook with pages that had areas for drawing and areas for writing. 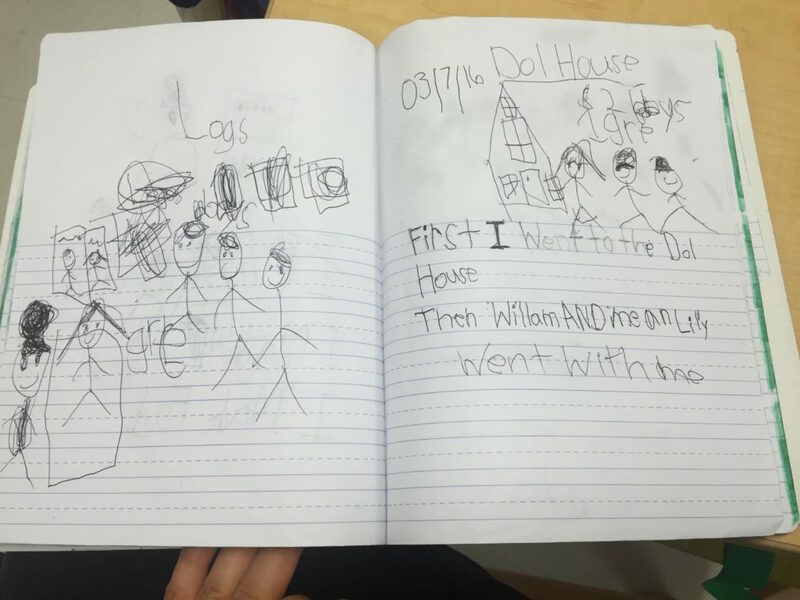 Children were told that after they cleaned up their centers they should take out their journals and write about something that happened during Choice Time. They could draw, write or do both. It was entirely up to them. They could read it to the teacher but they didn’t have to do that. They had ownership of these journals. The results were so exciting! 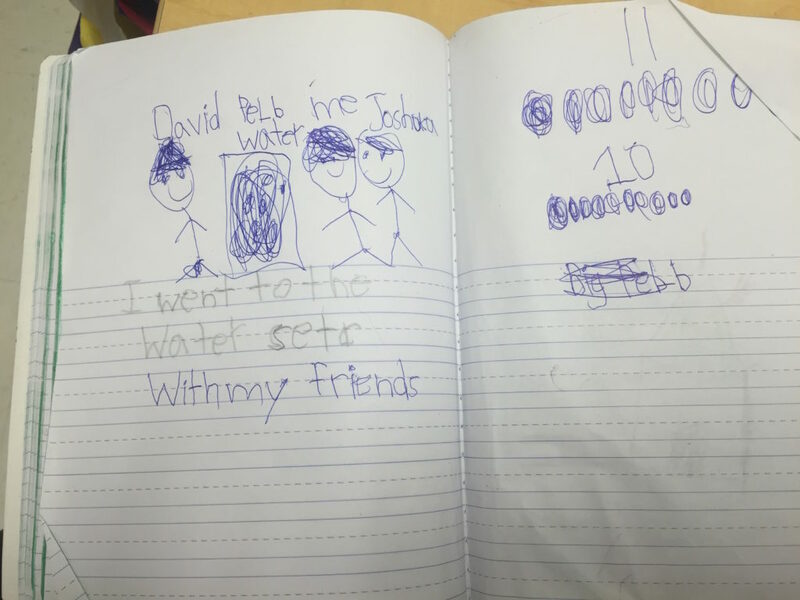 Children loved journal time and wrote with pleasure. 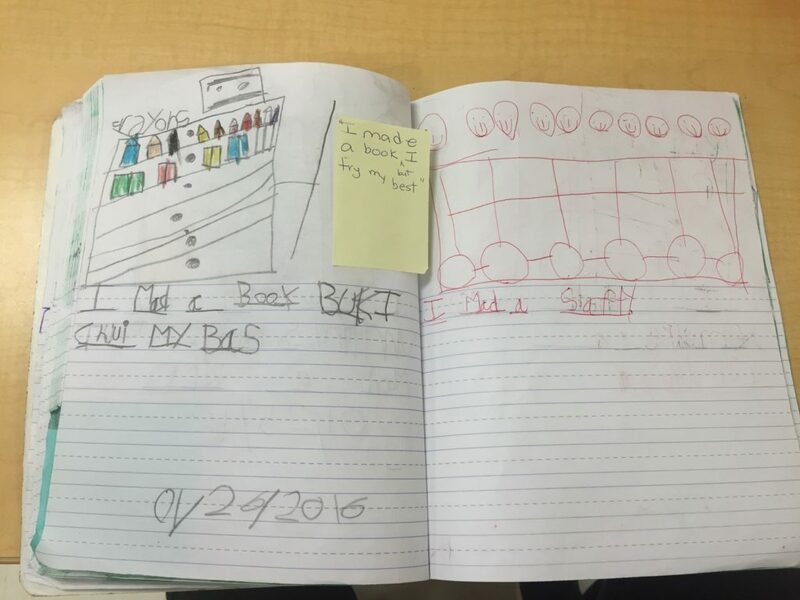 Children who were reluctant writers at writing workshop were asking for more time to write in their journals! We wondered why this was happening. Perhaps it was the sense of ownership. Nobody was instructing them to write in a particular genre. Nobody was checking up on his or her writing. 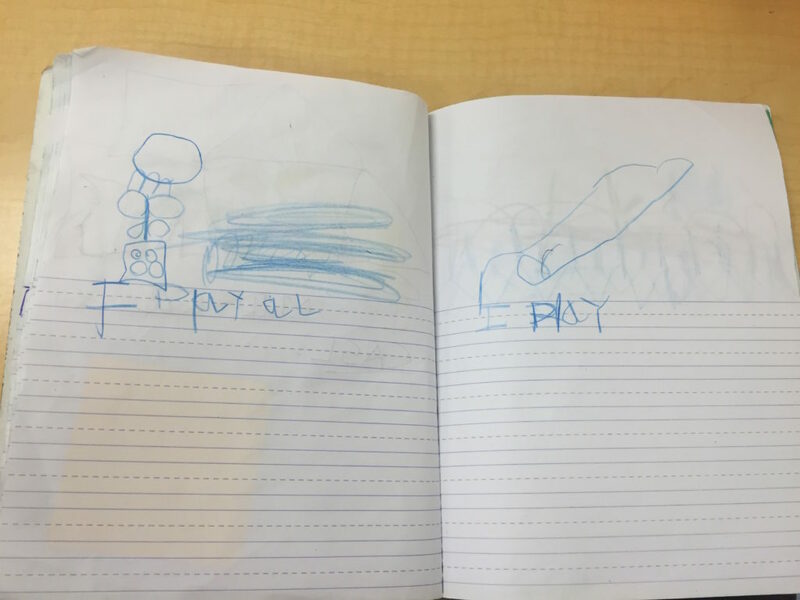 Children were writing about immediate experience connected to their play. Play is to very important to children. 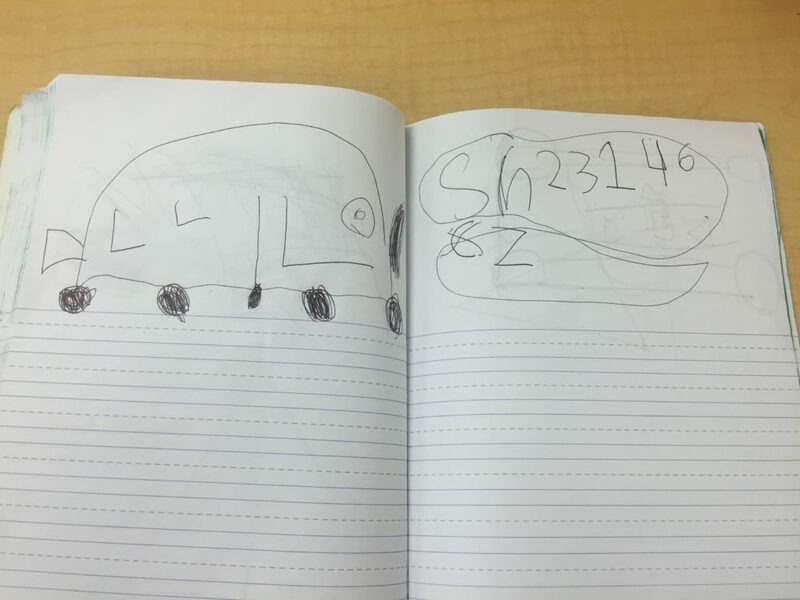 I would like to share some of the journal pages of two kindergarten children. Both of them are learning English as a second language. 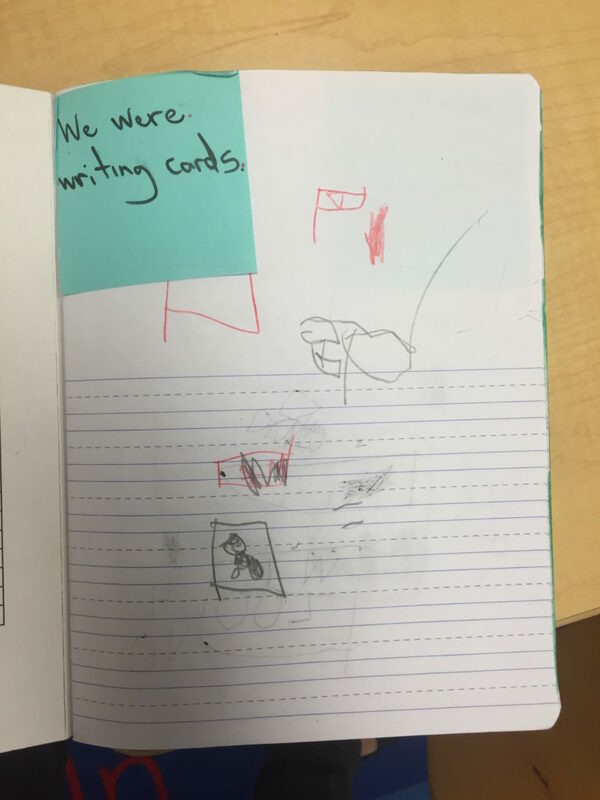 The journal writing began in December. 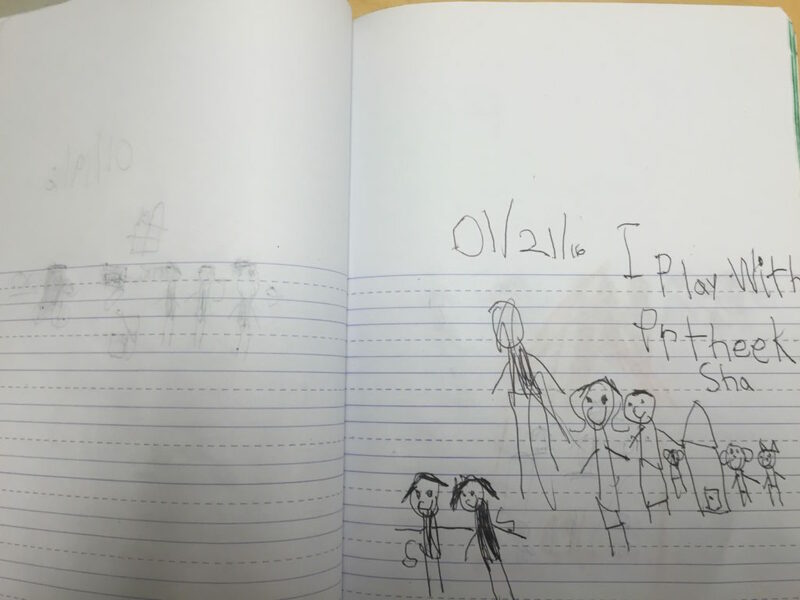 The journal examples of these two children represent writing from December through March. Play, Collaboration, Socialization, Agency…a wonderful kindergarten combination! 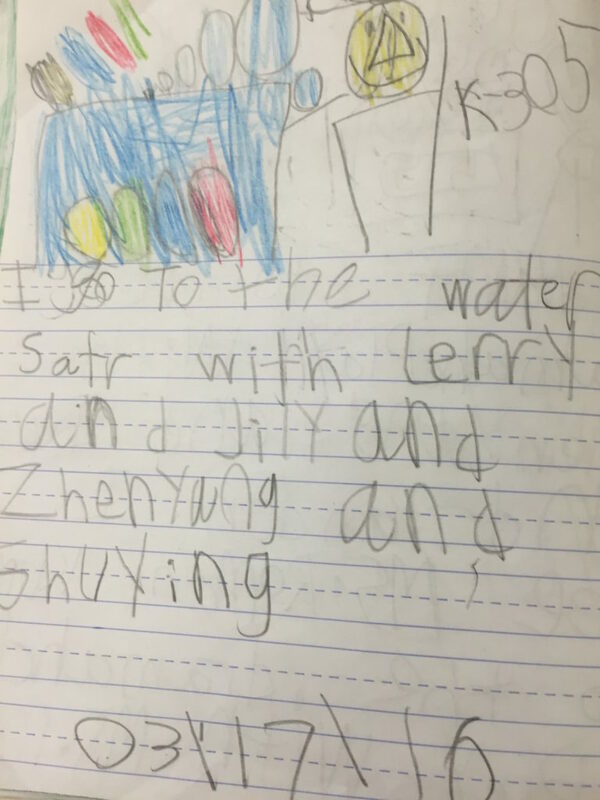 This entry was posted in Investigating Choice Time: Inquiry, Exploration, and Play on April 21, 2016 by Renee. I love it Renee. As you knew it would be, the children’s progress is remarkable and fully evident. This is how children learn. Very inspirational, thank you for sharing! Thank you Katie. 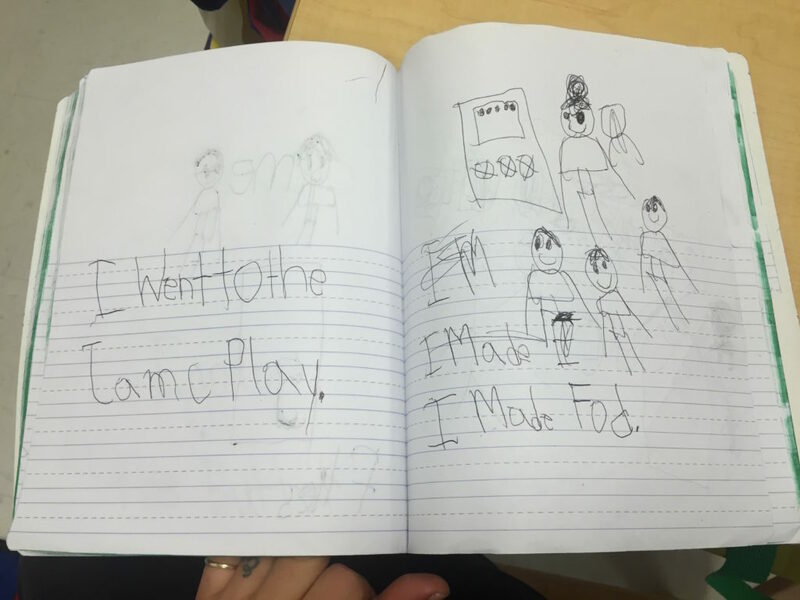 The teachers really embraced the journal writing AND Choice Time.